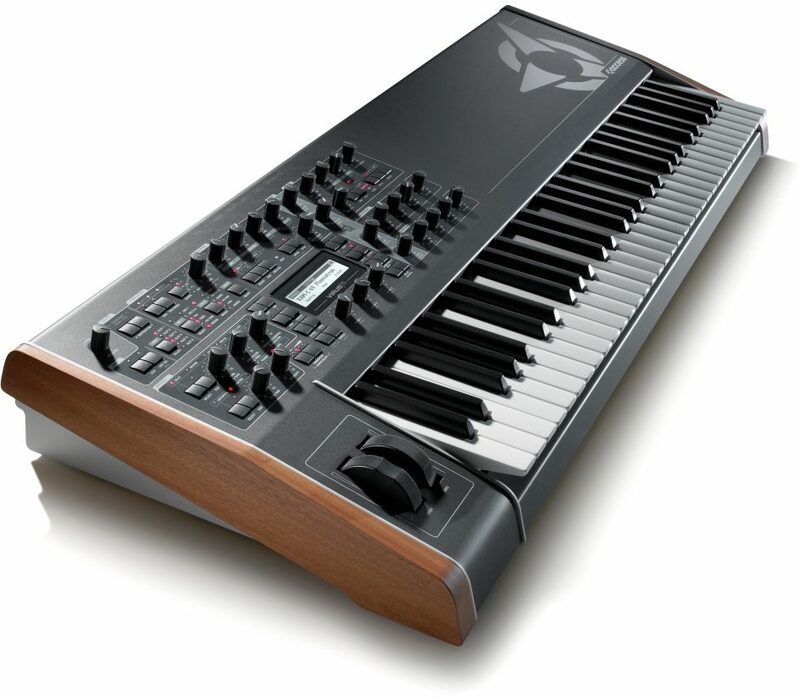 The innovative Access Virus T12 Keyboard synthesizer sports advanced features like OS4, new effects such as Character and Tape Delay, and much more. $2,915 Seen a lower price? - The convenience of a VST software synth with the power of a hardware synth. - Hands on control saves from using a mouse or MIDI controller to tweak parameters. - OS updates are constantly adding features and improvements. - Unmatched sounds and effects. - Same features as the Access Virus TI2 Desktop, but with a pro-grade keyboard. 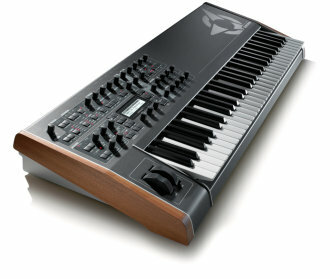 The Access VIRUS TI2 synthesizer keyboard is designed to lead the world in a completely different direction. Total Integration uses innovative technology to greatly expand the VIRUS Synthesizer, resulting in an advanced stage/standalone instrument, while simultaneously extending the product capabilities with a suite of compelling studio integration features. The Virus TI2 Synthesizer has 25% more calculating power and sports a redesigned housing and front panel than its predecessor. Access also used materials to bring down the weight of the keyboard. On the software side of things, a major feature update, OS4, adds several FX such as a Tape Delay, Frequency Shifter and several Distortion algorithms along with a feature called Character. Character allows you to adjust the overall tone of a preset reminiscent of several vintage and well-known synthesizers. In addition you can emphasis certain aspects of the patch to allow it to cut better through the mix, or fade it into the background with an extra-wide stereo field. The distortions were built from scratch and feature an extreme dynamic range along with sophisticated controls to tailor the sound to your specific needs. They can add everything from warm, tube-like overtones to complete sonic deconstruction more reminiscent of circuit-bending. The algorithms also include a revamped bit and sampling-rate reduction, allowing you to change the quality and cutoff point with precise, continuously variable control. The stereo Frequency Shifter and the Ring Modulator are state of the art algorithms modeled with old '70s stomp boxes in mind. Please note that other sequencers/versions might work as well but Access will eventually support all functionality. Access strongly recommends only using certified products. Available until 11 PM (EST) today. Mention special code 1ZN-L11N when you call.